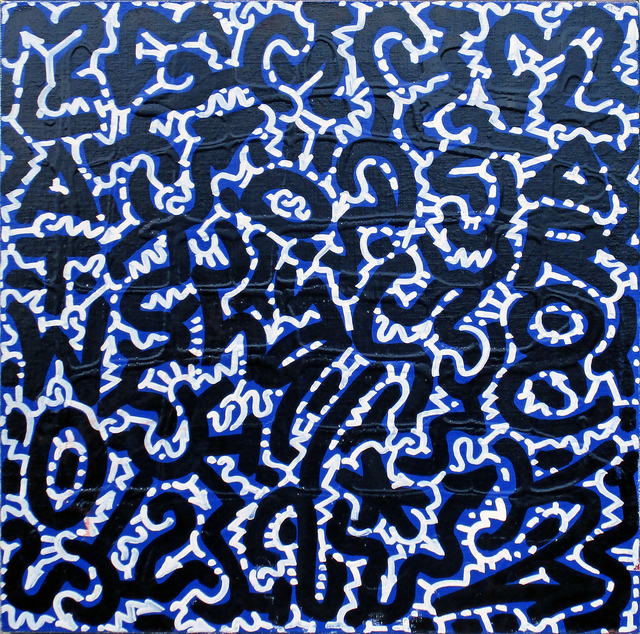 The Painting Center presents Symbols, Totems and Ciphers curated by Scot Borofsky. This exhibition features the work of eight artists who were founders of the Street Art movement during the early eighties in New York City. 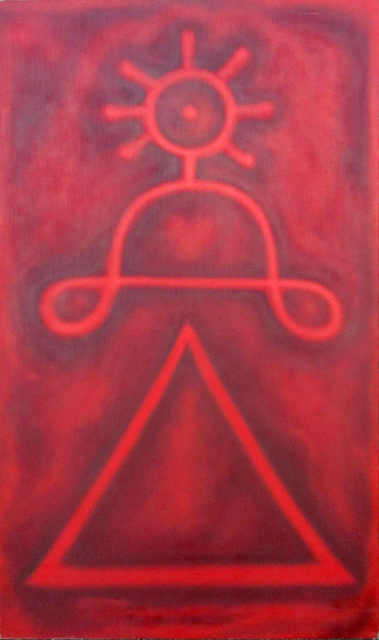 The Painting Center presents Symbols, Totems and Ciphers curated by Scot Borofsky. This exhibition features the work of eight artists who were founders of the Street Art movement during the early eighties in New York City. 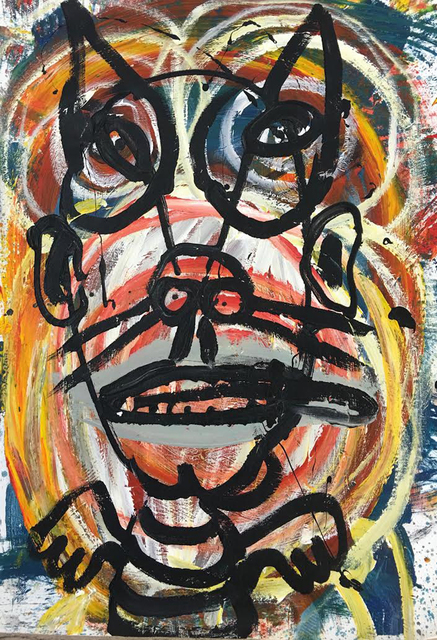 These artists include: Keith Haring, Robin Van Arsdol, Scot Borofsky, Angel Ortiz, Ken Hiratsuka, Richard Hambleton, Kevin Wendall and Bob Dombrowski. The artists who pioneered Street Art were faced with the task of conceiving of a personal manner to communicate with the general public who would experience their work in passing, in the context of the “street”. This could mean on a wall, on a pole, on the sidewalk, on a fence, in an alley, in an architectural nook, on a bench or in a tree. 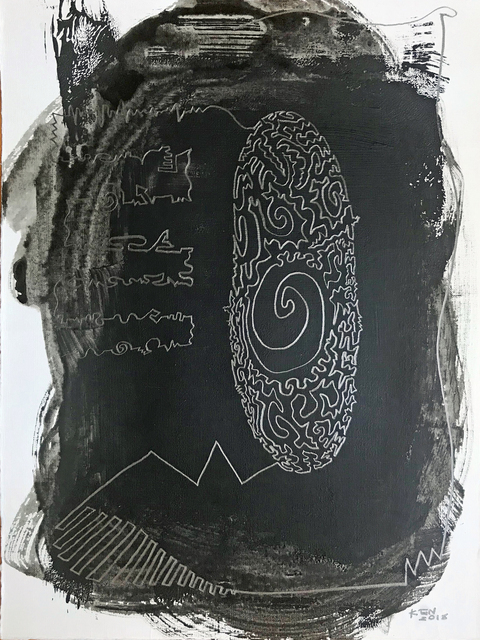 In response to this set of circumstances, visual vocabularies of symbols, repeated totems and cipher-like writing systems were “invented”, by some of the street artists as a means to communicate or create a dialogue. As in the case of many previous art “movements”, artists realized these conceptual approaches independently and simultaneously with a range of ages and from many different countries. 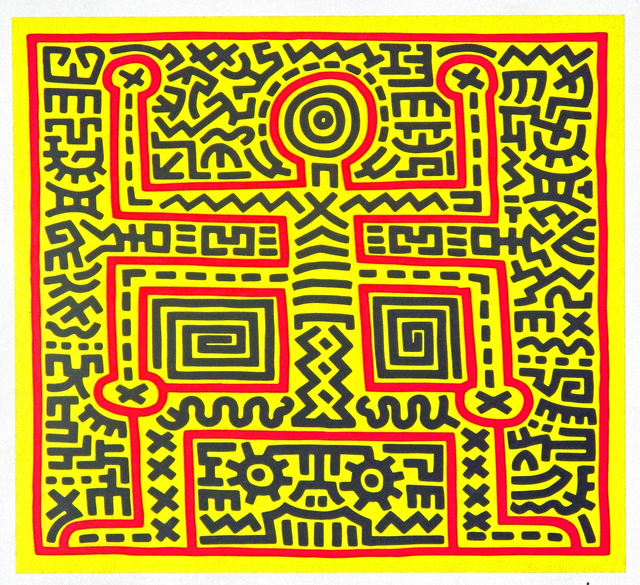 Keith Haring, Robin Van Arsdol, and Scot Borofsky were three of the artists who invented personal languages using symbols. These were used to express content and create a kind of dialogue narrative with the public through the work. 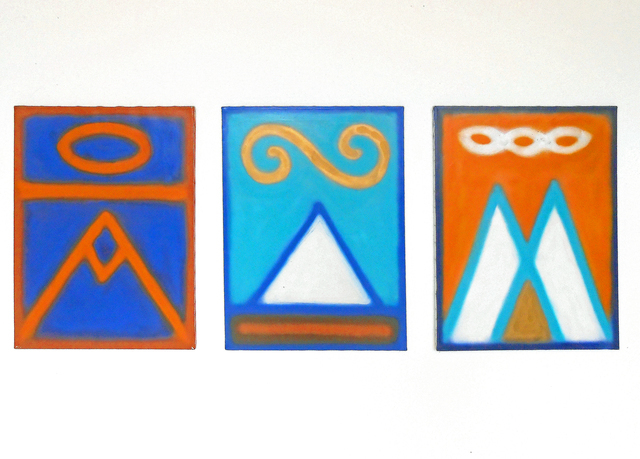 Inspiration for these symbols can be traced to various sources including modern art, cartoon art, and ancient art. 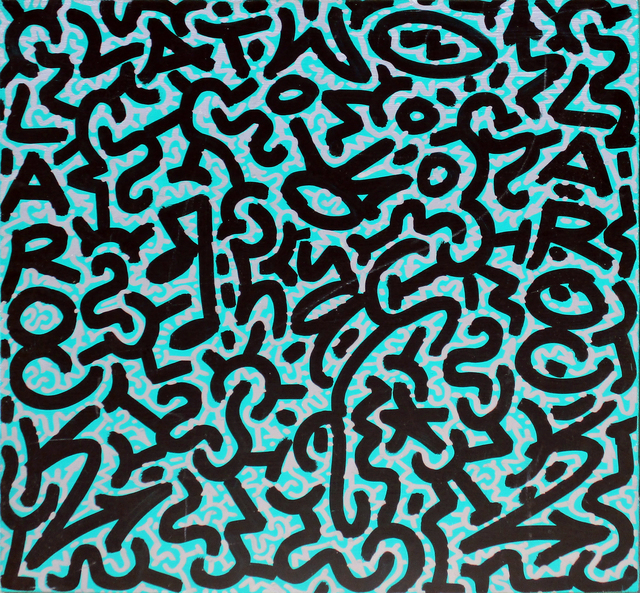 In Haring's early studio work, a second artist, Angel Ortiz, drew in the background “filler” lines, which surround the symbols. 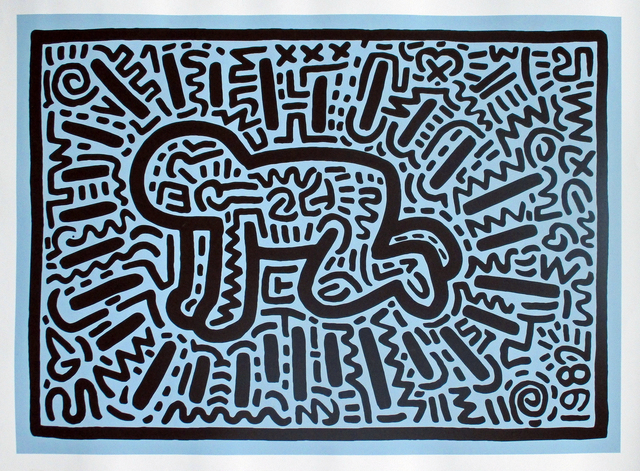 Ortiz's lines tend to be decorative and supportive of the Haring figures. In Hiratsuka's work similar lines become the story-telling means themselves. He uses an improvised line which contains elements, (such as spirals, etc. ), that communicate on a very symbolic level. Some artists used re-occurring totems. 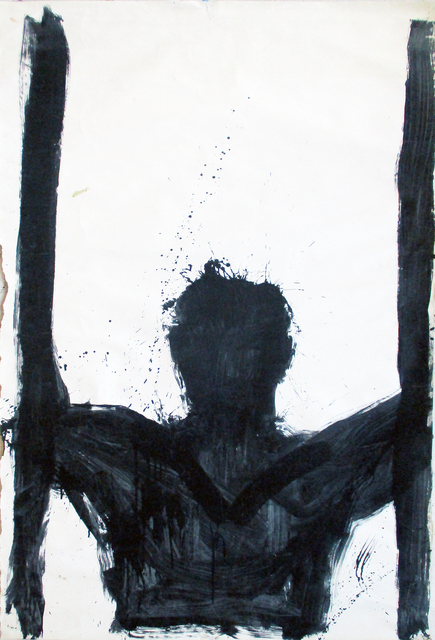 Richard Hambleton's expressive black figures and Kevin Wendall's imaginative colorful faces are two good examples. 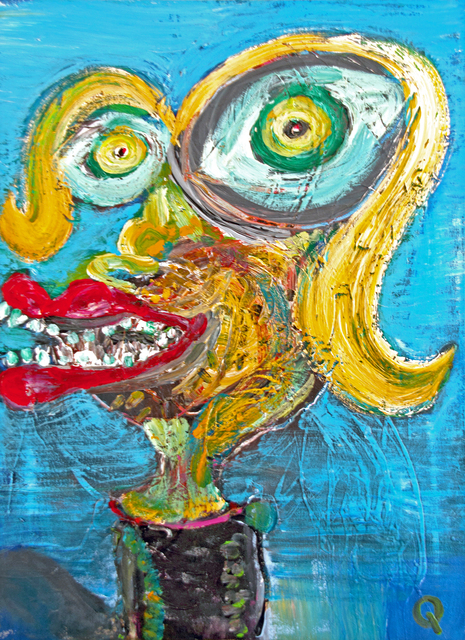 Choosing the human figure or face as an expressive conduit hearkens back to choices made by the earliest humans. 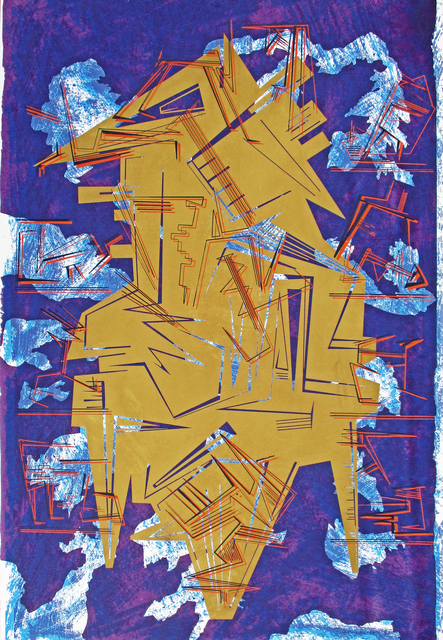 Bob Dombrowski's abstract mask-figure metal cutouts attached to poles were similarly totemic, and are decorated with a kind of symbolic geometric drawing. The work of these artists are by no means the only examples of such tendencies in early Street Art. These inventive solutions to artistic expression "on the street" were not the only approaches to confronting the challenge. 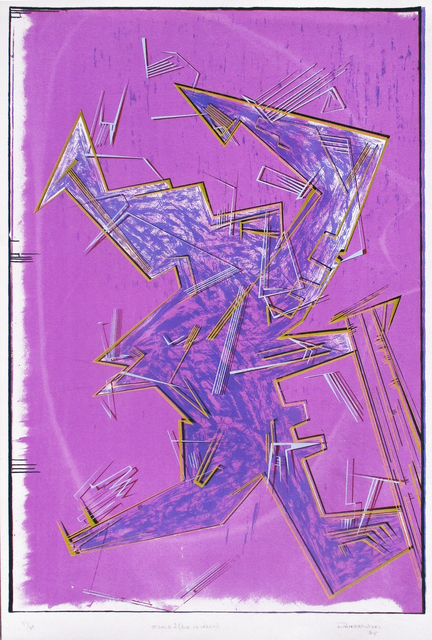 However, these examples do show specifically related methods of expression employed by several of the pioneers of street art in New York City, during the early eighties.